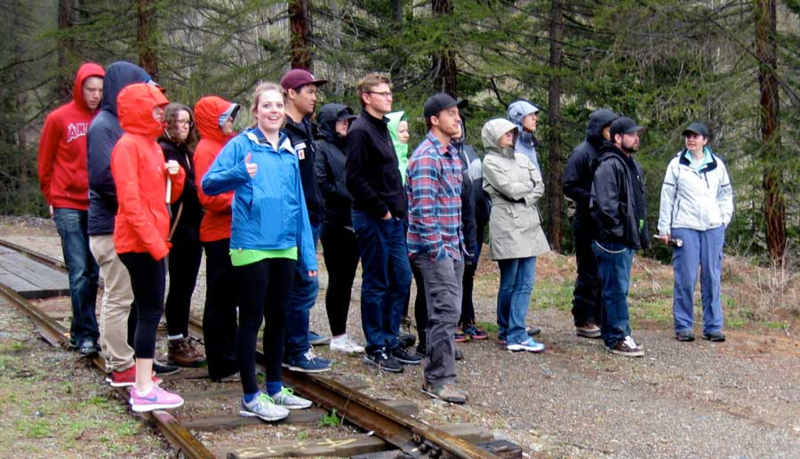 President Mick Henningson and volunteer, Mike Hayes hosted this great group of geology students from University of Calgary and their Instructor, Dr. Jennifer Cuthbertson on a walking tour of the Underground Interpretive Centre and the Sullivan Mine Powerhouse on Saturday, May 10. Here they pose on the bridge over the Mark Creek that leads to the tunnel. It was a little rainy and cool but that didn’t seem to be a big problem.